Inter-Pacific is a Nationwide System Integrator of Video, Audio Visual, Networking and Communication Products with offices near Chicago IL, Los Angeles CA, and Hampton, VA since 2002. 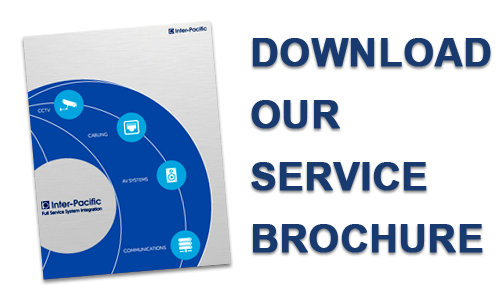 Inter-Pacific provides complete System Integration services including design and engineering for the Federal, State, and Municipal government agencies. Inter-Pacific has partnered with leading manufactures to provide value-added services to Fortune 1000, medium and small businesses. Inter-Pacific is a Veteran owned, Disadvantaged Minority Enterprise.